Hon. Fahie made the claims on July 30, 2013 during an Opposition held press conference, which also featured Hon. Fraser. “They did not ask the Speaker to be excused, they did not ask the Speaker for a recess, they did not ask the Speaker for an adjournment… they just unruly got up and walked out while the Member for the Third District was in the middle of his presentation,” Hon. Fahie said. Hon. Fahie charged that the NDP’s claim of creating a culture of excellence was rubbished by what appears to be a clear culture of disrespect that reigned in the House of Assembly as a result and stated that there was no excuse for the walk out. He further claimed that the party was insulting the intelligence of the people of the Virgin Islands with claims that they left to have a discussion and said the walkout was also an affront to Her Majesty the Queen who was represented by the mace in the HOA. “We are calling on this Administration to apologise forthwith to Her Majesty,” said Hon. Fahie. He also called for apologies to the Speaker, the House of Assembly as well as the people of the Virgin Islands because, “they abdicated their responsibilities to do the work of the people by walking out,” he said. Hon. 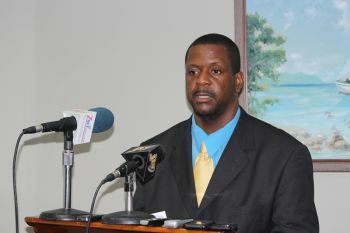 Fahie said that in his research, he could not find a single instance of any government walking out of the House of Assembly, which was quite different from the Opposition walking out. “This unruly behaviour cannot go unnoticed nor unaddressed and the government cannot play with our intelligence to tell us they left to discuss,” the First District Representative said. respect must be seen from the top and must be copied from the top down. Respect and values are shown, learned and followed from the youngest age to the oldest and in between. Everyday behavior is essential for a society to progress....behavior, at the end of each day is what individuals can be proud of. Some how they find some thing to talk about every week. Media hungry. skeptic a paid NDP blogger will wake up one morning and actually WILL GET A LIFE! The actions of the NDP are totally disrespectful. I am shocked to hear that this happen. This is an embarrassment to the Territory. Our Premier continues to turn into a liar & a deceitful man by trying once again to justify the NDP wrong doings. SHAME SHAME SHAME! people should go on strike and shut down the BVI over this mess!!!! An opposition, we remind young Andrew, must be critical of the government of the day but not obstruct merely for the sake of doing so. this is an administration of pure lies and deceit....what a bunch! We cant believe that the minister of education compounded this kind of behaviour. Lets walk out on them on election day. He still on this? lol. Keep on them @$$ fahie keep on them! 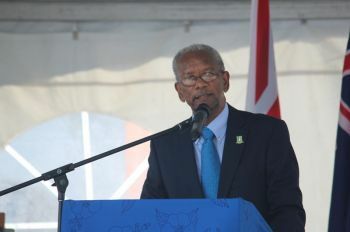 The Speaker said that the motion should have been brought to the house by the leader of the Opposition. Do this mean that you and the member for the third will do the same to your leader and the public ?. The Speaker is wrong wrong wrong. Read your Constitution, and then educate yourself and read the Standing Orders of the House. This Speaker is nothing but a total embarrasment. Lets hope the new VIP Gov get in thry can fix this place. To the good old boys of the NDP - you promised to improve our economy - so please would you get started before it has declined further?